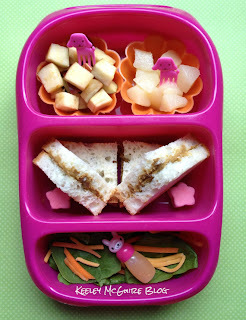 Gluten Free & Allergy Friendly: Lunch Made Easy: It's Good to eat Byntos! Lunch Made Easy: It's Good to eat Byntos! Lunch for Tuesday is packed in our Goodbyn Bynto Raspberry. I decided to not put her waterbottle inside the Bynto for tomorrow to allow more room for food. I'll just put it on on top inside her EasyLunchBoxes cooler, along with her snacks for the day. Starting at the top, inside two flower silicone cups are apple dices on the left and pear dices on the right. Each has a cute pink puppy fork pick to eat them with. 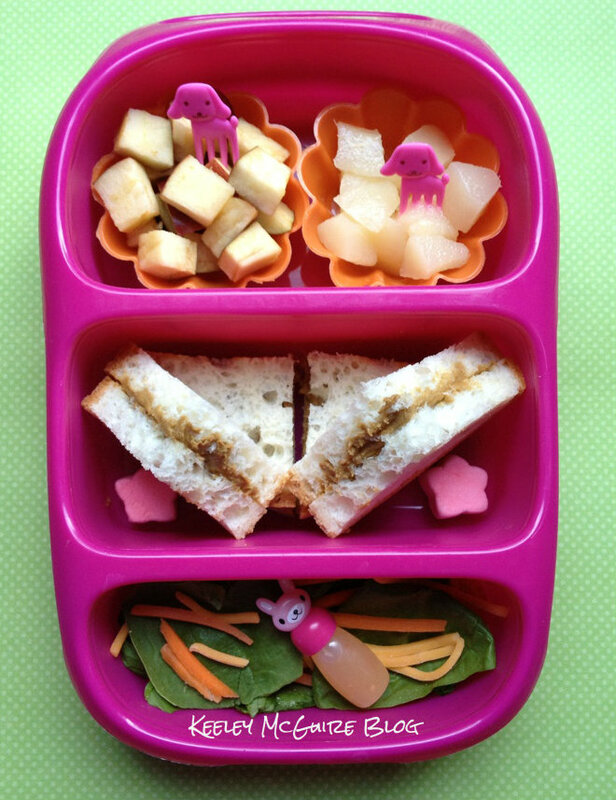 Bottom has a baby spinach side salad with the little bunny sauce container containing zesty italian dressing. Looks tasty! Is the bynto any easier to open/close than the bigger one? love all of the pink accents :) Does the bynto fit nicely inside the EasyLunchBoxes cooler bag?